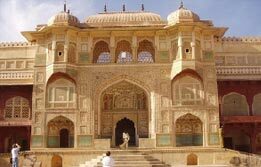 Exploring Rajasthan is a rich and rewarding experience that is sure to enthrall any tourist. 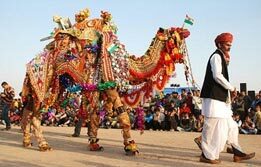 The regalia etched here in the form of monuments, forts, palaces, havelis and the cultural extravaganza of fairs and festivals is another high moment in this colourful state. 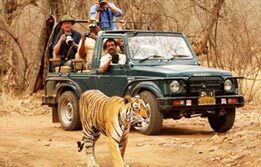 Rajasthan Explorer tour is a great discovery of royal richness via a visit to the exquisitely painted havelis at Mandawa, various forts and palaces at Bikaner, Jaisalmer & Jodhpur, tranquil temples at Ranakpur and exciting adventure at Ranthambhore National Park before moving to Jaipur, the capital of royal Rajasthan. 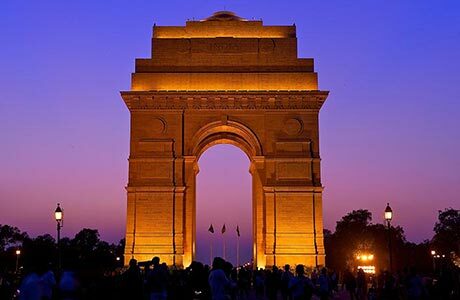 Upon arrival at Delhi Airport, meet India budget tours representative who will assist your transfers to the hotel for overnight stay. Morning drive to Mandawa (270 Kms / 07 hrs). This is the open art house gallery belonging to the heritage Shekhawati kingdom. The sprawling havelis with old world charm and wall art here catch the fascination of the tourists. The style and artistic content of the Shekhawati frescoes here symbolize the blend of tradition with modernity. The painted havelis were the homes of India’s leading merchant of the times, representing their elaborate architectural taste merged with modern artistic fervour. Upon arrival, transfer to hotel for overnight stay in Mandawa. After breakfast, walk through the old town of Mandawa and enjoy the picturesque view of this quaint town. Later in afternoon drive to Bikaner (164 Kms / 04 hrs), the state’s first desert kingdom halt. Upon arrival, transfer to hotel for overnight in Bikaner. 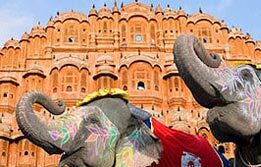 In morning, begin a sightseeing tour of Bikaner via a visit to the historic Junagarh Fort, Bikaner Palace and the Golden Jubilee Museum. In the afternoon, leave Bikaner for Jaisalmer (333 Kms / 7 hrs); the second in the desert triangle of Rajasthan. On arrival, transfer to the hotel for overnight in Jaisalmer. 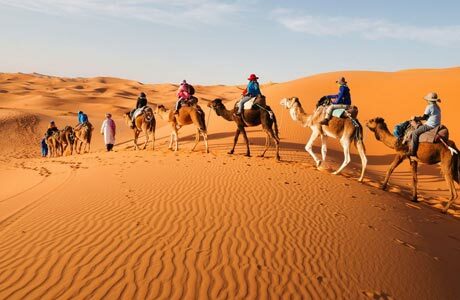 Begin Jaisalmer city tour on a jovial note in morning via a visit to the honey hued Jaisalmer Fort Complex, 12-15th century Jain Temples, Folk Museum, Gadisar Lake and the colorful havelis. Afternoon excursion to Sand Dunes. Overnight in Jaisalmer. 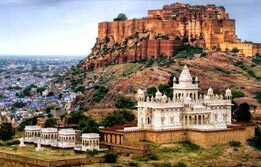 Drive Jaisalmer to Jodhpur (295 Kms / 06 hrs) the blue washed city. Enroute visit Osian Temples, famous for cultural heritage and ancient temples. Transfer to hotel for overnight in Jodhpur. 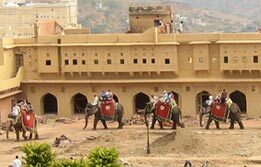 Full day city tour dedicated to Jodhpur. 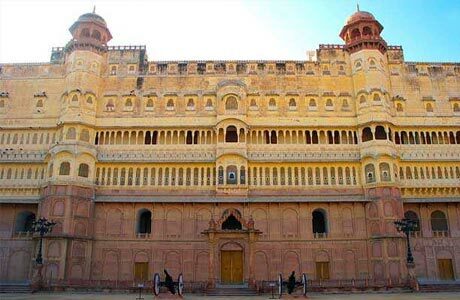 Here tourists visit Mehrangarh Fort, Jaswant Thada, Umaid Bhawan & Museum, Mandore Garden and Clock tower. Overnight in Jodhpur. Morning is free at leisure in Jodhpur. In afternoon, leave Jodhpur for Udaipur (259 Kms / 07 hrs). This pristine white city is known for its elegant interpretations of luxury. 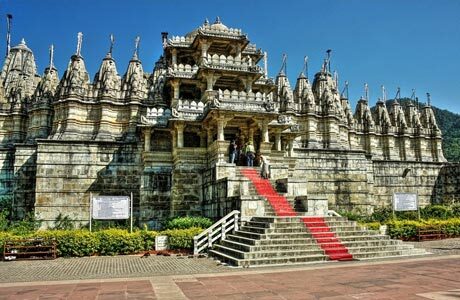 Enroute visit the famous Jain Temples at Ranakpur. On arrival, transfer to the hotel for stay in Udaipur. Evening is devoted towards the boat ride in the mesmerizing lake Pichola, one of the iconic sights of Udaipur. Overnight in Udaipur. 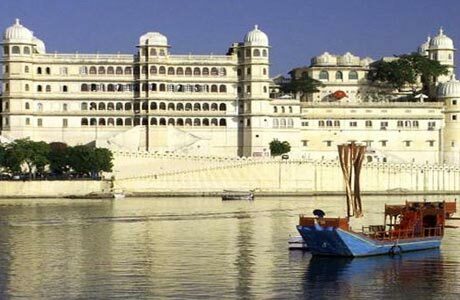 Dedicate day 9 towards the illustrious sightseeing of Udaipur city with visit to City Palace, Jagdish Temple, Museum, Saheliyon-Ki-Bari & Pichola Lake. 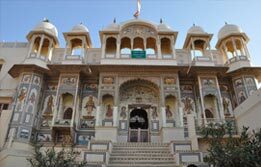 Also visit Eklingji & Nagda Temples near Udaipur. Overnight in Udaipur. Morning drive to Kota visiting Bundi en-route (285 Kms / 06 hrs drive). On arrival, transfer to hotel. Overnight in Kota. Morning tour of Kota and later drive to Ranthambore (120 Kms/ 3 hrs). On arrival, transfer to the hotel. Overnight at Ranthambore. Morning visit National Park. In afternoon, drive to Jaipur (130 Kms / 3 hrs). On arrival transfer to Hotel. Overnight in Jaipur. 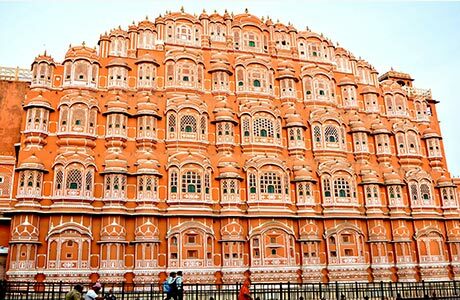 Morning Amer Fort and then Afternoon city tour visiting Palace of Winds (Hawa Mahal) & Observatory. Overnight in Jaipur. Leave Jaipur for Delhi (252 Kms / 05 hrs). Overnight at hotel. 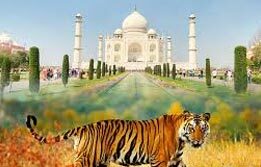 On the last day of Rajasthan Explorer Tour, dedicate full day towards the sightseeing via a visit to the Raj Ghat, India Gate, Bahai Temple & Qutub Minar. Transfer in evening to International airport to connect flight for onward destination. 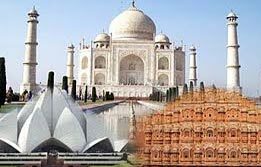 Room on twin sharing basis at each place as per itinerary for total 14 nights. Hotel check in / out 12:00 hrs. Daily buffet breakfast at hotel. 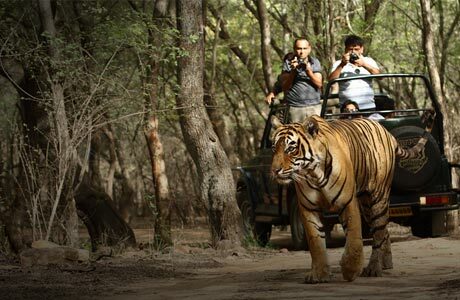 In Ranthambhore all meals will be served. Aircon Standard Car (Tata Indigo) for all transfers and sightseeing as per the itinerary. Camel Ride at Osian and Jaisalmer.